So we wound up going to the Red Bank Food Festival this past Sunday...and it was awesome! There were over 30 restaurants that opened up their doors and put out some food to try. 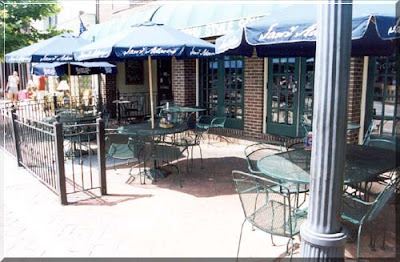 It was a great experience because on what was the most beautiful weather day, you got to see the inside of restaurants and what they look like while walking around and checking out a cool area in New Jersey. Some of the restaurants really went all out and tried to put their best stuff out there, but it did feel like others just wanted to jump on the bandwagon and say they were involved- but didn't really try. Either way, I was stuffed! The other two things that I have to admit should be improved for next year are (1) The time of the event was only from 12-4pm- so you had to stand in long lines and wait, only to rush in, scarf down your food and hurry to the next place. I think the event should go from 12-6pm so you can actually enjoy it at a more leisurely pace. And (2) I think the map they gave out was horrible. 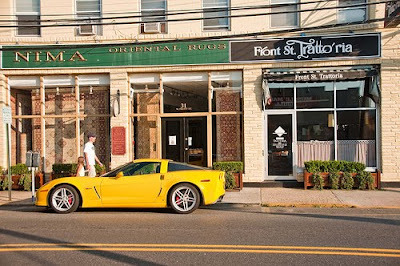 Unless you know Red Bank, it was not easy to find all of the restaurants. The restaurants are divided into two areas- Downtown & The Galleria- so we didn't get to go to all of them because either we had no time, or just couldn't find where we needed to go. Nonetheless, I'm glad we went, and have to say that if you missed it this year, then I would definitely try to make it next year. The tickets were $25 for adults if purchased ahead of time, or $30 on the day of the event. But, at least all the money raised from the event goes to benefit the local high school...so at least it's for a good cause! 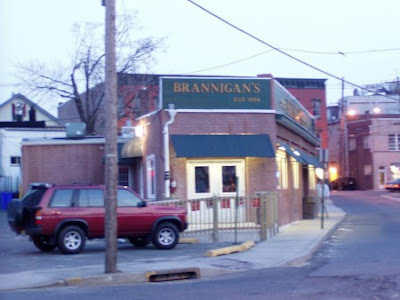 Brannigan's Bar & Grill, 14 Wharf Avenue: Typical Sports Bar & served (get this) a platter of Buffalo Chicken Wings! 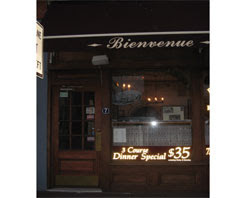 Buona Sera, 50 Maple Avenue: An Italian Restaurant that probably put out the nicest spread out of anybody. They had a buffet of Chicken Marsala & Pork with peppers & onions. You actually sat down and ate...and that was smart business thinking on there end because almost everyone started buying drinks from the bar! 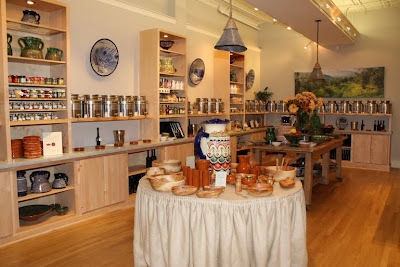 Carter & Cavero, 19 Monmouth Street: A store that specializes in all sorts of Olive Oils! Literally name it and they probably have it. We tried Fig Oil, Lemon Oil, Garlic Oil & Balsamic Vinegar (with some bread to dip in it of course)! Dish, 13 White Street: By far one of the best! 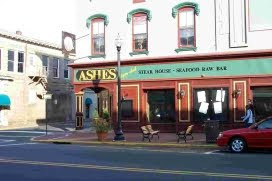 This quaint little place offered up some delicious Guiness Braised Short Ribs & Mascarpone Polenta...deeeeee-lish! Downtown Cafe, 8 West Front Street: Typical Standard American Fare that served up very good pulled pork sliders. 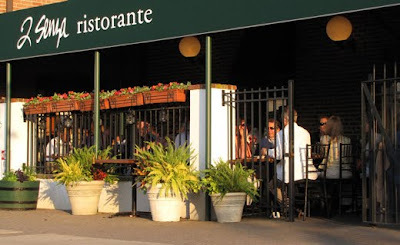 Front Street Trattoria, 31 West Front Street: Trattoria/ Pizzeria that served up excellent thin crust Margherita pizza. 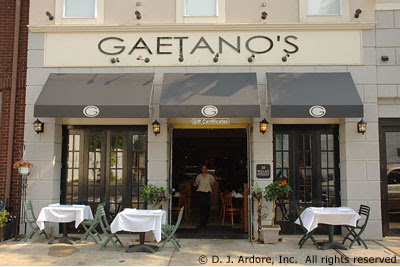 Gaetano's Restaurant, 10 Wallace Street: Don't think we ever got to this one, but it does look good! 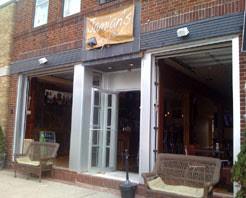 Jamian's, 79 Monmouth Street: Pub style place that served up some pretty disappointing Chicken wings- either Terryaki or Buffalo-style. 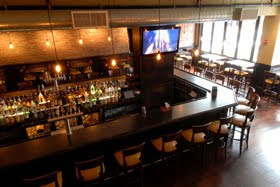 Murphy Style Grill, 26 Broad Street: Don't think we ever got to this one, but it does look good! 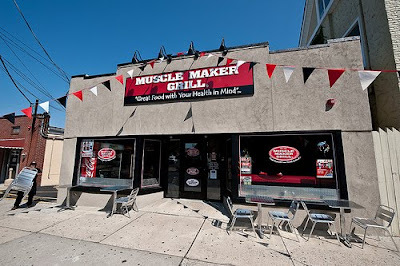 Muscle Maker Grill, 38 West Front Street: A Health Food restaurant (not really up our alley)...but, they did serve up a delicious brown rice & chicken dish! 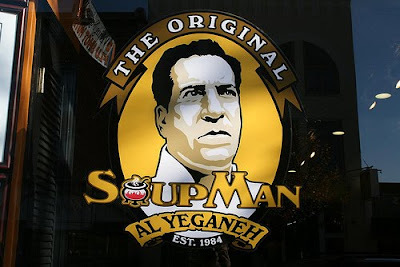 Original Soupman, 39 Broad Street: Yes, like from Seinfeld this is the same guy! We tried to go and try one of his soups, but when we got there we were told to "come back in 15 minutes" because they ran out of soup. Needless to say, we didn't go back. But, I have had this soup in NYC and it's good! I think there are chains all around now. 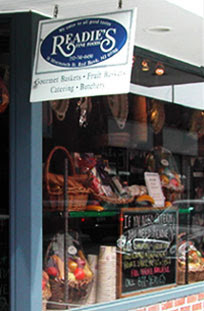 Readie's Fine Foods, 18 Monmouth Street: Excellent deli that served to types of cold salads.. One was a pesto/ orzo salad with dried cranberries and nuts- the other was a German potato salad with bacon and onion...that was mmm-mmm good! 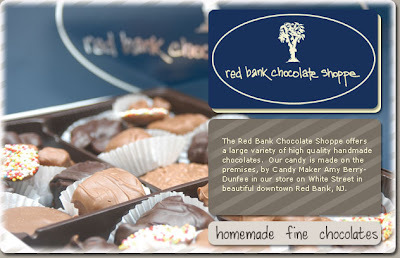 Red Bank Chocolate Shoppe, 17 White Street: Wow! 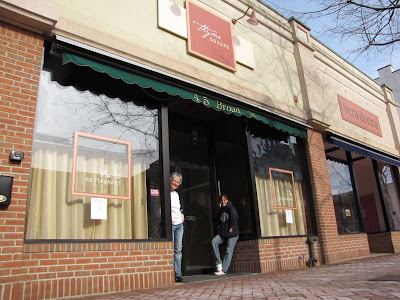 If you like chocolate...then this is a must try next time you are in Red Bank! They served up milk chocolate pretzels with either caramel or peanut butter...and milk or dark chocolate covered blueberries and strawberries. If only I could have gone back for seconds! Ricky's Candy Cones & Chaos, 86 Broad Street: We never made it here, but it look like a really good candy store that would have about any candy you could imagine. Last time we were in Red Bank with my niece and nephew- they stopped in here- so yes, it's a great place for kids, or kids at heart! 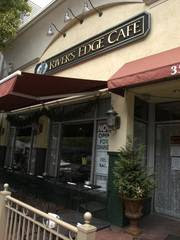 River's Edge Cafe, 25 Broad Street: Typical cafe/ restaurant that served up something very different from what I was expecting, but also VERY good. It was a pumpkin pancake with honey butter! So good...and it sounds pretty easy to make...I might have to give it a shot sometime this fall. 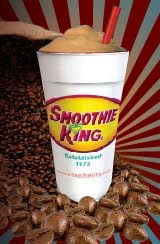 Smoothie King, 65 Broad Street: I do love smoothies as I've said before (remember post on Lassi drinks? 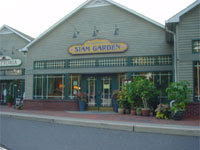 ), but it is a chain, and with so many stand alone restaurants to try, we didn't make it here. Surf Burger Island Grill, West Front Street: Ha! Well now we tried to go to this place (I do love a burger), but we got there at 3pm and they told us they ran out of samples. I should have asked what they were serving, but was too disappointed and forgot to. Anyway, how do you run out of food that early? Not good! Teak, 64 Monmouth Street: This is an Asian Fusion/ Sushi restaurant..and that's what we were expecting, but they served dessert instead (which was totally fine by me)...and it was amazing! (that's my official stamp of approval when I really like something! :-) It was an Asian crepe (plain or chocolate) wrapped up and sweet and served on a stick. If we ever go back and eat here, I am definitely ordering it for dessert! 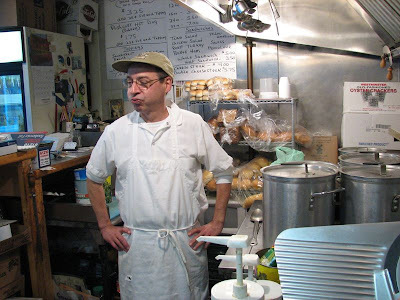 That Hot Dog Place, 30 Monmouth Street: Don't get this place...it's "That Hot Dog Place" and their specialty is soup!?! Anyway, I have to give credit where credit is due...it was great soup. I have the Corn Chowder, Rich had the Spicy Sausage, and my sister-in-law, Maura, had Italian Wedding...and we were all pleased! Next time, however, I am trying a hot dog! 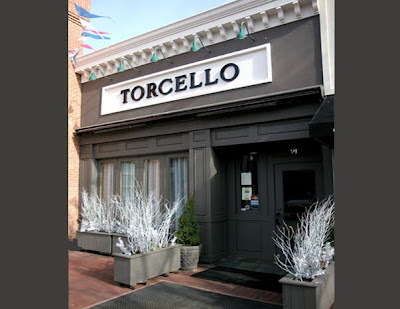 Torcello Restaurant, 91 Broad Street: This was the first place we went to on our tour...and it was good and a nice looking Italian restaurant inside. They served gnocchi (potato filled pasta) in a white cream sauce...yummy! 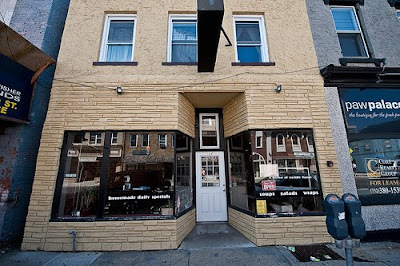 Via 45, 45 Broad Street: Another Italian restaurant...very cute inside & BYOB which is great! They served delicious ravioli with roasted peppers and peas which I liked very much! Wine Cellar, 23 Monmouth Street: This is a nice change of pace from all of the food! 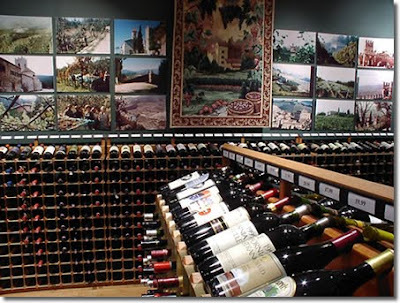 This looks like a very nice wine shop inside with a decent selection of stuff. They served a Cabernet blend from California which they had on sale that day for $10.99 if you wanted to buy a bottle. 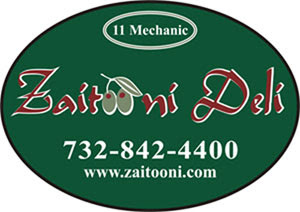 Zaitooni Deli Mediterranean, 11Mechanic Street: We couldn't find Mechanic Street, so unfortunately, we didn't make it to this deli. 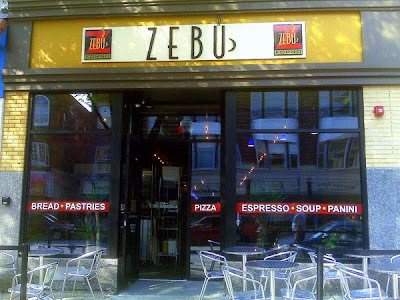 Zebu Forno, 20 Broad Street: This place reminds me inside of an Au Bon Pan/ Bakery type of place. They make everything fresh here and they served up a good bruschetta (which had little bits of mozzarella chopped up into the tomato mixture)...it was good. 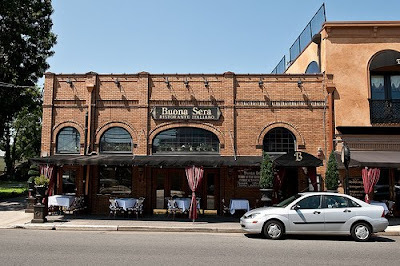 2Senza, 2 Bridge Avenue: Unfortunately, we didn't have enough time to eat the food at this place, but we did go inside to see the interior and we really liked it. They have an open-style kitchen and the decor is cute inside. We might have to put this on our list if we are looking for a place to go next time. 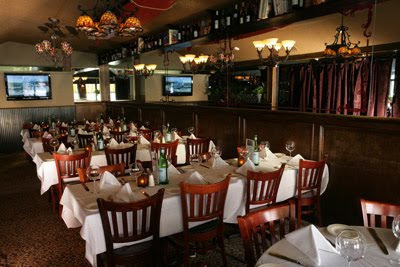 Danny's Steak House & Seafood, 11 Bridge Avenue: As the name says...Steak house. They served up some really good Sweet & Spicy Shrimp and some Penne a la Vodka...and both were excellent. 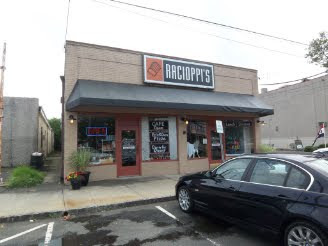 Racioppi's Kitchen, 107 Oakland Street: Another one we didn't try. 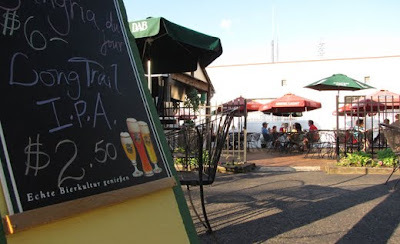 Oakbridge Tavern & Beer Garden, 115 Oakland Street: And yet another! Omg, you must have gained 10 lbs. I don't think I can eat the rest of the day.